On any given day, there are likely dozens of products currently being recalled. From children’s toys to exercise equipment and even automobiles, faulty products present a major liability to manufacturers and distributors alike. But if you, as the consumer, are injured by a faulty or defective product (whether it’s been recalled or not), what courses of action are available to you? 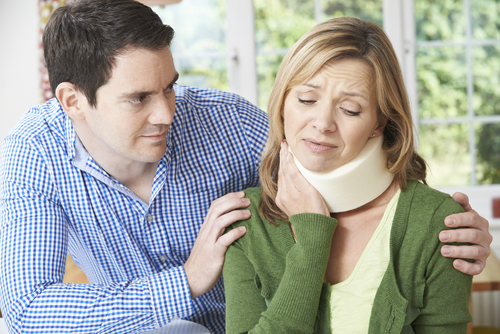 Here are some steps you can take to potentially receive compensation for your injuries. Injuries from defective products can seem quite minor, but leaving an injury untreated can lead to additional complications down the line. Even if your injury is minor enough to be treated with first aid equipment at home, you should still see a doctor. For example, let’s assume you suffered a minor burn when a faulty electronic sparked and caught fire. You could reasonably treat a minor burn at home, but a doctor will be able to better assess the extent of the injury and can make an official record of your injury and the treatment. These sorts of records are essential to building your court case if you wish to make a personal injury claim. If you believe the product that caused your injury was faulty or defective in some way, research the product on the Consumer Product Safety Commission website to see if there was a recall on it. While some product recalls are widely publicized, the majority are issued without consumer knowledge. If there is a recall on your product, the website should offer information on how to reach out to the company to replace or repair the product. In these types of cases, it can be difficult to determine who is truly liable for the injuries you suffered from the faulty product. If you intend to sue for damages, it is always best to work with a personal injury attorney with experience in such cases. You may also want to do some research and see if there is already a class action lawsuit underway for injuries caused by this product. If so, you can join the suit alongside other plaintiffs who have been injured as a result of the product’s defects. Generally speaking, a product liability case allows you to include any and all parties that were involved in the product’s chain of distribution as defendants in your case. This means that everybody who had a hand in creating or selling the product. This can include the manufacturer, wholesaler or distributor, and the retailer. Certain entities may be more liable for your injuries than others, depending on the nature of the defect. However, you still have the option to bring a lawsuit against all of the above entities. Paperwork and records are always an important part of building a strong court case. So, if you’re planning to sue for damages, you should start gathering records as soon as possible. Your attorney should offer a lot of guidance and assistance in this regard, but it’s important that you offer up any additional records you think might be relevant. This might include receipts, registration numbers for the product, warranty information, medical records from injury treatments, photographs of the product and your injuries, and more. The more evidence you can compile to support your case, the more likely you will be to receive a satisfactory outcome. How long am I willing to continue pushing this case? What is the absolute minimum I will accept in a settlement amount? Am I happy with compensatory damages, or do I want to receive punitive damages as well? Am I willing to go to court if the company choose not to settle? Knowing all of these things in advance, and being aware of all of these possibilities will make it easier for you to make these important decisions if and when the time comes. Plus, you’re less likely to be blindsided if things take an unexpected turn. Your attorney can help to walk you through the process and the likely outcomes in your product liability case, so be sure to contact an attorney you trust if you’re ever injured by a faulty product.